Recommendations in the draft include introducing a fair use exception into copyright law and amending the Copyright Act 1968 to make clear the right to evade geoblocking. The report also says that Australia’s current copyright terms are overly long. Australia’s copyright arrangements “are weighed too heavily in favour of copyright owners,” the report states. The term of copyright in Australia — extended to 70 years after the death of a work’s creator in order to comply with the US-Australia Free Trade Agreement — is far too long, it argues. “The evidence (and indeed logic) suggests that the duration of copyright protection is far more than is needed,” the draft states. Australia is subject to international agreements governing the term of copyright term but can advocate for it to be lowered. 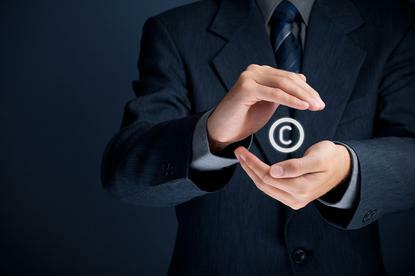 “While hard to pinpoint an optimal copyright term, a more reasonable estimate would be closer to 15 to 25 years after creation; considerably less than 70 years after death,” the report states. In addition a fair use clause should be introduced into Australian copyright law, it argues. In 2013 the Australian Law Reform Commission recommended the introduction of a fair use exception in copyright law to replace the existing ‘fair dealing’ provisions. Attorney-General George Brandis has previously indicated he is not in favour of a fair use clause in Australian copyright law. The report also recommends that the government should amend the Copyright Act to explicitly allow the evasion of geoblocking.Geoblocking is a form of price discrimination, whereby providers of digital goods and services either don’t supply consumers in a particular location or charge a different price. The 2013 report of the parliamentary inquiry into IT pricing in Australia recommended that the Copyright Act be amended to explicitly support the right of consumers to employ anti-geo-blocking measures. That report is yet to receive a government response. “The Australian Government should make clear that it is not an infringement of Australia’s copyright system for consumers to circumvent geoblocking technology and should seek to avoid international obligations that would preclude such practices,” the PC draft report states. “The Australian Government should expand the safe harbour scheme to cover the broader set of online service providers intended in the Copyright Act 1968,” the report recommends. Draft amendments to Australian copyright law unveiled late last year by the government would expand the safe harbour scheme, which limits the liability of Internet service providers for copyright infringement. The report’s recommendations also include that the government should amend the Patents Act 1990 “to explicitly exclude business methods and software from being patentable subject matter”. The PC is accepting submissions on the draft report until 3 June.